geek with curves: Giveaway: Win a Costume From CostumeSupercenter.com! Giveaway: Win a Costume From CostumeSupercenter.com! 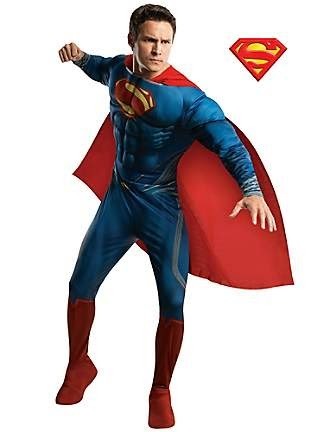 There's no such thing as having too many costumes, and CostumeSupercenter.com would like to give you a new one. You can wear it for Halloween, to a convention, to a theme party, or depending on the costume, you can don it for a midnight movie or comic book release. Basically, if you ever need to rationalize buying a costume, come to me. I'll help you think of a place to wear it. I'm an enabler. Any of of Costume Supercenter's costumes worth $75 or less could be yours. To enter, just use the handy Rafflecopter widget below and follow the instructions to get up to four entries. You have 7 days to get your entries in! While you're waiting to hear about whether you've won the chance to pick out an awesome costume, check out one of CostumeSupercenter.com's cool infographics. This Star Trek chart gives a handy breakdown of Starfleet uniform styles over the years and across different shows and movies. My favourite Star Trek character....I think is Worf, or Lwaxana Troi. Thanks for the giveaway! 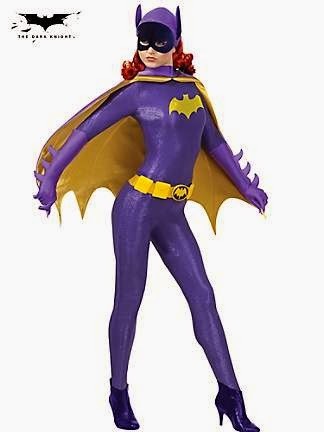 I've been eyeballing that Batgirl costume for so long! That would be my pick too! love the voyager costumes! Thanks! Captain Kirk will always be my favorite. I just love Shatner! He's so funny! Also, I'd be thrilled to have a pink Power Ranger costume all ready to go for Halloween, or to surprise my man one day...who knows? My favorite Star Trek character is Spock!! Doctor McCoy was the absolute best - wish he'd had more lines! I don't have a favorite Star Trek character, but my kids do! I love Data--he's wonderful. I always love an android, but he adds something special to it. More than any Star Trek character, I always feel for him when he faces challenges or sad plot arcs. My favorite Star Trek character would have to be a toss up between Bones and Scottie. I just heart them both so much. No love for Gorn? I love Gorn! There, now there is love for Gorn. The original cast movie costumes looked great but might be to warm for me. This may be the best blog giveaway I've seen! I already have a TOS costume, but I would love a Next Gen or Voyager style Star Trek costume, and I would really REALLY love a Battlestar Galactica tank top. The BORG have always been my favorite characters. 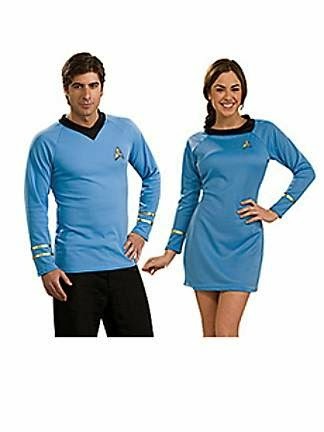 Oh, to have a Lady Spock costume. My fave is definitely Spock!! Yep, my fave is Spock, too! Its something about spock I always enjoyed watching. My favorite was always Picard. Oh, it is so hard to choose just one character. I think Spock is my fave. Thanks for entering, everyone! Patrycja Chudziak won! really nice custumes, how can i get it ?